This frog theme seat will be a cheerful addition to your garden. 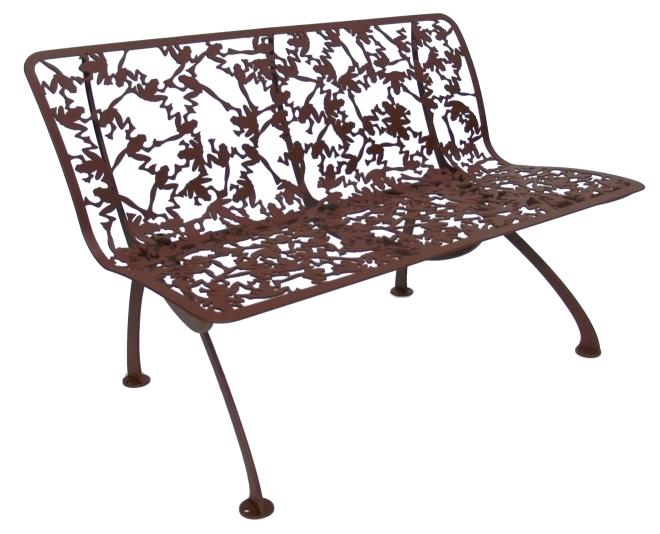 Its seat and backrest are made out of a frog motif of my own design, giving the bench a lightweight and transparent apperance. Entirely made ​​out of galvanized and coated steel, it is weatherproof, maintenance-free, and durable. 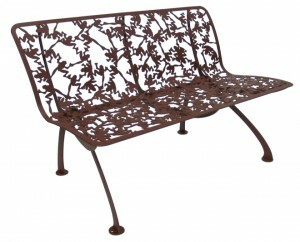 The bench has a width of 125 cm (50 inches) and is available in 4 colours: brown, navy blue, off-white and green.